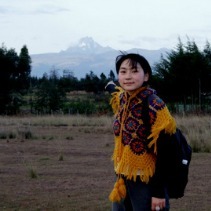 Luna Liu (Vital Voices in Kenya): Luna obtained her BA from School of Law, Tsinghua University in Beijing. She continued her legal studies at the University of Hong Kong, Hong Kong, where she also interned in the Xinhua News Agency, the Phoenix TV Station, and the Omnicom International PR Company. During college, she volunteered for an international education program in Turkey and worked as an art dealer in 798 Modern Art Center in Beijing. At the time of her fellowship, Luna was studying for a Masters degree at the University of Maryland specializing in International Development. She also interns as a Research Assistant at the Woodrow Wilson International Center for Scholars. ” I like animals so I want to become a game ranger!” Said Nenkoitoi Korinko. To give or not to give? That is a question.